Three, two, one . . . Blast off! The ship design and operation rules in GURPS Spaceships are more abstract than those found in GURPS Vehicle Design or GURPS Traveller: Interstellar Wars . . . but they're much faster, with a minimum of math and a maximum of colorful options. It takes only minutes to build even the largest spaceship . . . and wrapped around the design system are basic space travel and combat systems to get you into space right away. 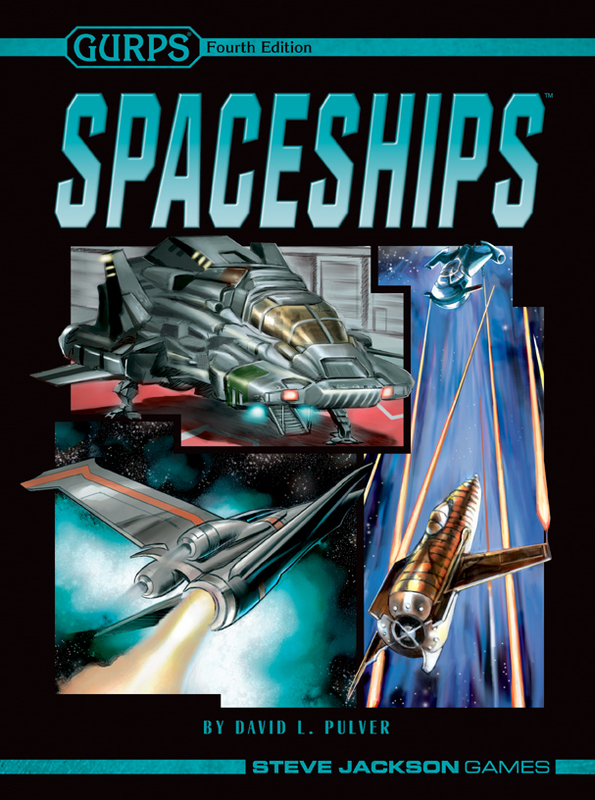 GURPS Spaceships doesn't include detailed finance, trade, or hex-grid based combat rules . . . but these are on the way! It's the core book in a series whose other volumes will present examples of ready-to-use spacecraft and comprehensive rules for commercial space flight, warfare, exploration, ports, industry, and other aspects of space travel. GURPS Spaceships requires only the GURPS Basic Set, but GURPS Space is highly recommended for its guidelines on stardrives, characters, campaigns, and settings. GURPS Space – The best place to start for all your science fiction campaigns! This genre guide gives you hard facts for space-based campaigns, and information for creating your own setting. GURPS Traveller: Interstellar Wars – This Traveller supplement for GURPS Fourth Edition covers 200 years of war, peace, and overwhelming change as the ancient Vilani Imperium falls to the upstart Terrans. 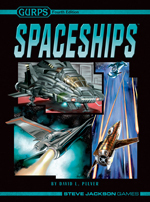 GURPS Spaceships 2: Traders, Liners, and Transports – Statistics and descriptions for dozens of interplanetary and interstellar commercial vessels, from tiny shuttlecraft and rugged tramp freighters to the sleek star liners and beautiful luxury yachts of the elite.